Word of Frank "Pupie" Raia's untimely exit from the City Council race has begun reverberating and one quake in the series: it's bad news for Reform City Council candidates. The breaking story first reported by the Hudson County View is morphing as additional details of a Michael Russo deal with Raia overspills through Hudson County and specifically Mayor Felix Roque in West New York. The deal splattered over HudCo suggests the back end portion goes down next March when Frank Raia will retain yet another five year term on the North Hudson Sewerage Authority where he receives taxpayer paid health benefits. The health benefits are Raia's motivation to continue in the role, one he's held for about two decades. Raia solely retains the taxpayer paid health benefits as NJ withdrew them for all other sewerage commissioners but he was "grandfathered" by the state. Raia who chairs the NHSA as a Hoboken representative will shift into a new seat and another term representing West New York, courtesy of its Mayor Felix Roque. 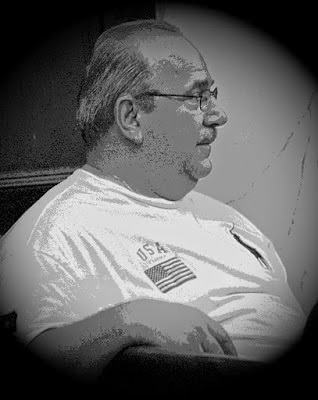 Michael Russo the incumbent Third Ward councilman benefits immediately with Raia's untimely withdrawal freeing up expenditures of time and money as he suddenly shifts into the November election unopposed. Another immediate effect of the Raia-Russo deal is the additional pressure on the other five Hoboken ward City Council races as resources are freed up. Of particular concern to Reform is the increasing focus on taking out Tiffanie Fisher in the second ward aiding Peter Biancamano where developers including the Barry family and Applied Housing/Ironstate Development are eager to see her eliminated. While Fisher is a top focus, the other race thought to see a boost is Terry Castellano's in the first ward. Her opponent, Michael DeFusco has marshaled a steady campaign of voter outreach this month not unlike Jen Giattino's singular effort in 2011. Castellano is showing nervousness as her base of Marine View votes dissipated in 2013 after pulling a massive tally close to 400 votes for her back in 2011. Other races which may be impacted include the fifth ward where the Old Guard and developers eye a compliant Eduardo Gonzalez who proved his loyalty supporting large-scale developer deals when he consistently backed the controversial Carmelo Garcia Vision 20/20 redevelopment scam in the Hoboken Housing Authority. Nothing but a brochure was ever produced by Garcia who repeatedly sought and failed in the end to get required HHA and City of Hobken approvals. Another intriguing addition to the Raia-Russo WNY deal points to the possibility West New York power broker Donald Scarincci replacing the current legal contract on the North Hudson Sewerage Authority with one of his own. A last component developing in the Raia-Russo deal with Mayor Roque surrounds Hudco's hierarchy. Did Roque weakened with his second indictment by the Feds get buy-in from other Hudco powers? If not, could the Raia-Russo deal be put into jeopardy leaving Frank Raia out in the cold without his treasured taxpayer paid health benefits? As the saying goes, time will tell. Right now the Russo Clan cashes in as typical - on the front end. How this may impact others on the Carmelo Ticket, namely Ruben Ramos in the fourth ward and Carmelo Garcia in the sixth ward is less clear for the moment. going to face no democratic opposition in November putting Reform council candidates on the brink. MSV will continue work on this breaking Election story. The Hudson Reporter once again showed its adherence to the Old Guard party line even going as far as pumping out misinformation about candidate filings alleging Frank Raia submitted his petitions "late." Wrong. No candidate can submit petitions "late" and get on the November ballot. Raia submitted as many other candidates midday at City Hall on the August 31st deadline. The Hudson Reporter ignored the reason cited by HCV, Raia's reason for withdrawing was a claim of illness under advice of doctors. With MSV throwing timber on a fire of a deal between Raia-Russo and the currently indicted mayor of West New York in Felix Roque, it looks less like a news story and more an attempt at damage control. The Hudson Reporter got the Russo party line out in detail with Michael Russo mockingly saying a debate in the third ward "will continue to happen," and this late Raia pullout isn't unusual. It's unknown which ghost Russo plans to debate. As for the Hudson Reporter, its fiction Raia cut a deal with the mayor's administration is revealed for what it was: another Old Guard political operation on behalf of the Russo faction. Sully will be spun and forced into damage control mode while the pro Old Guard rag pretends its reporting on the complete story of the Raia-Russo deal which it's never likely to fully reveal. Business as usual. The uncredited HR story all but predicts the public won't get the real story from them but they'll post an update "if" Raia offers an explanation. Way to go for the Pulitzer and a dead end there Caren. Reform since assuming majorities on every major public institution in Hoboken back to 2009 is facing a serious threat to its current City Council majority in November. Many people who participated in the grass roots movement either via financial and/or campaign support have moved or become dormant or equally worse: complacent. Should that complacency continue through Election Day, Reform could find itself in the minority after Election Day.